Just a quick update today on the progress of the half pi shawl project. 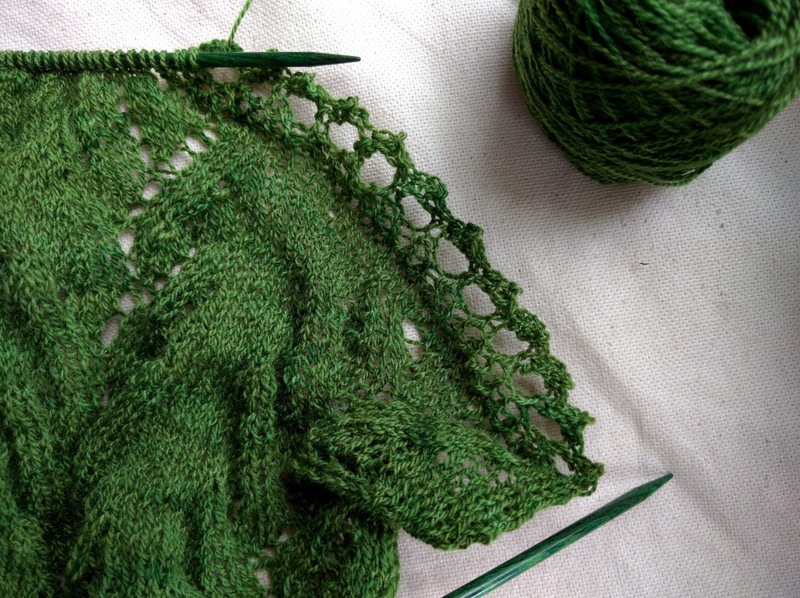 I pushed through the last lace repeats with a speed that rivals even my active imagination. That third section is addictive. I started weighing my ball of yarn when it looked like it was visibly shrinking as I knit each row. I want to make sure I leave enough to work the edging. I’m estimating about 10% of a 100g skein should definitely be enough. The beauty of the lace pattern in this final section is that I can end it whenever I need to and it won’t look abbreviated. Then I composed myself and began to work the edging. It is knitted on, so that one stitch is bound off for every two rows of edging lace. Ordinarily, I would love this kind of knitting – super short 4-6 stitch rows that just zoom along. But yesterday my brain was less than enthusiastic about concentrating on anything, much less these tiny little snippets of knitting rows. I completed about 18″ before dinner and called that good progress for the day. Maybe I’ll have better luck tonight. 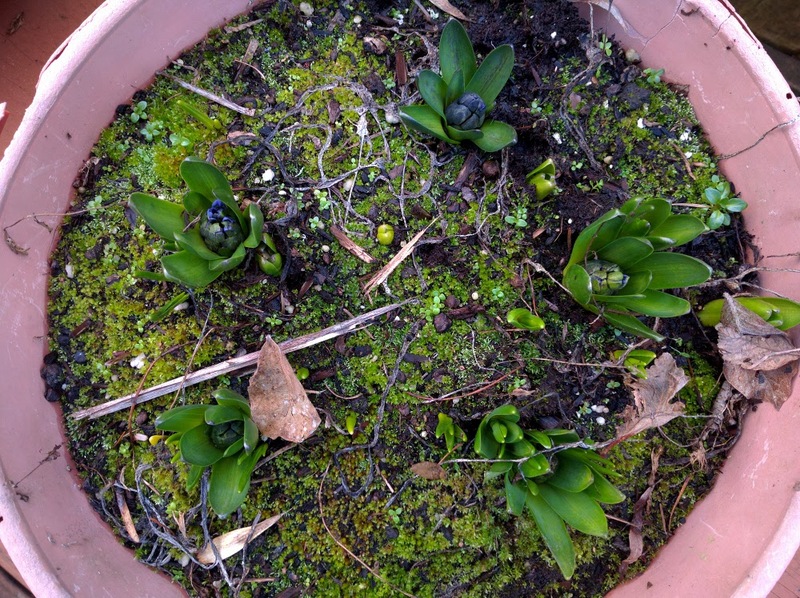 My pots of hyacinth bulbs are sprouting. The willow tree in my front yard is also putting out leaves. And here I thought we might have a few more weeks before spring would arrive. I’d better get a move on if I want to finish this shawl before the flowers bloom. This entry was posted in Knitting and tagged creativity, design, knitting, lace, shawl, wool. Bookmark the permalink.